I am happy to share some exciting news with you today - the launch of UTSA's new Urban Education Institute. Those of you who have attended my various presentations and talks over the last year know that this Institute has been our radar for some time, and I consider it to be a key component to UTSA’s ever growing urban-serving capacities. The Institute will function as an educational incubator and a driver of social mobility, using applied research to raise educational attainment in San Antonio and beyond. Based on the Downtown Campus and housed within the College of Education and Human Development, the Institute represents yet another milestone in our efforts to develop that campus with an eye toward meeting the needs of our growing city. And there’s more great news to share! The Raise Your Hand Texas Foundation is committing $2 million in seed funding to support the Institute and related urban education initiatives. Their gift is a tangible vote of confidence in UTSA, and will accelerate the institute’s ability to find solutions for urban education challenges. 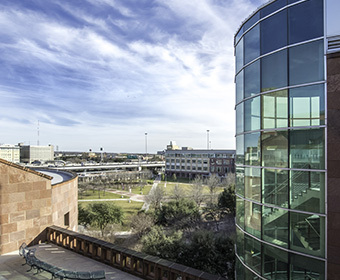 The foundation for our Urban Education Institute is coming together quickly, and the effort has now been formalized as an initiative within UTSA’s strategic plan. I hope you will take a moment to read the initiative brief to learn more about the institute’s framework and potential impact. This effort will be overseen by the institute’s newly-hired director Dr. Mike Villarreal, under the leadership of Dean Margo DelliCarpini and Provost Kimberly Andrews Espy. I’d like to extend my gratitude for the hard work and expertise of the many faculty and staff involved in bringing our Urban Education Institute to fruition – what a wonderful way to begin our 50th anniversary year!